When does coincidence become a pattern? In less than two years, all four people that have been thrown onto the subway tracks in New York City have been Asian immigrants. On the morning of November 16, Wai Kuen Kwok, a 61-year that came to New York from Hong Kong, was pushed onto the subway tracks as the D train approached the 167 street station. Kevin Darden, the alleged attacker that has at least one other alleged altercation involving another Asian man, has been apprehended. Kwok’s death turned what may have been an unlikely coincidence into a likely pattern. Asian immigrants have been physically forced onto subway tracks all throughout New York City; in Manhattan, Harlem, Queens and now the Bronx. It’s been almost one year since Shou Kuan Lin, a 72-year old grandfather, was thrown in front of the A train in Harlem back on November 22, 2013. 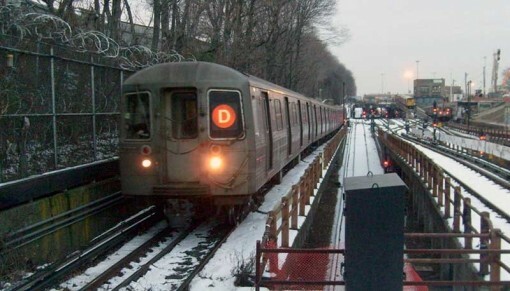 Less than a year before that, Sunando Sen, a 36-year old man originally from Bangladesh, was pushed onto tracks in Queens in December 2012. Earlier in that same month, Ki Suk Han was shoved onto the rails as witnesses watched the Q train pull into the 49th street station in Manhattan. Han hailed from South Korea. These brought up memories of a spate of attacks that occurred in San Francisco back in 2010 when mostly older Asian immigrants were targeted for violent crimes by African-American teens. In San Francisco, there was very little doubt that those attacks were based on race, but whether that’s true with the subway incidents in New York is questionable due to the time in-between the attacks and the mental stability of a couple of the attackers. Though there’s no overt connection between the New York and California attacks — I believe there’s a dotted line that brings them into the same conversation. Whether you believe there’s truth to stereotypes or not, the presumption that Asians are more passive and are weaker make us suitable targets for aggression. And that’s not all we struggle with. When you mix in a language barrier, it helps attackers to further distance themselves from the potential victims. Add to the fact that many of the victims were older or elderly, there’s a assumption of (perceived) helplessness. When looking to connect the deadly subway assaults, we might be focusing on the “what” too deeply. It’s easy to focus on the fear of being pushed onto the tracks because it’s every subway rider’s worst nightmare. Instead, perhaps we should be paying more attention to the “who” – the Asian immigrant being victimized, not just on subway platforms but elsewhere (like what happened in San Francisco). Asian immigrants might be a group we should be paying more attention to because how often they’re being attacked might be more than just a coincidence. My thoughts on the “random” assault, death of 68-year old Chinese immigrant in Alphabet City Why Wen Hui Ruan was attacked and why neighbors didn’t help after Are Asian immigrants being pushed onto subway tracks a coincidence or something else?